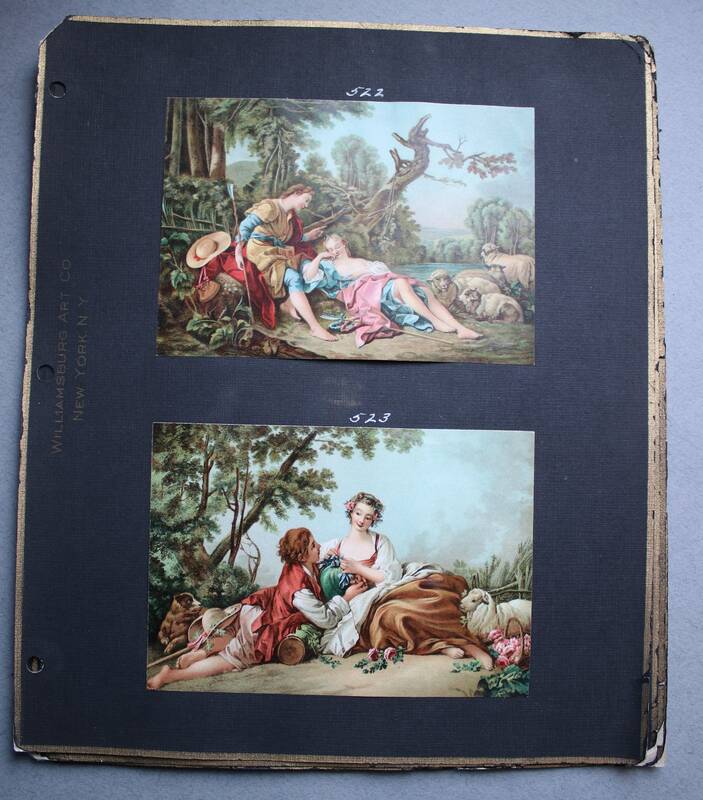 This set of of four pages of antique lithographs depicts courtly life and pastoral pleasures, more than likely French, in the 18th century. 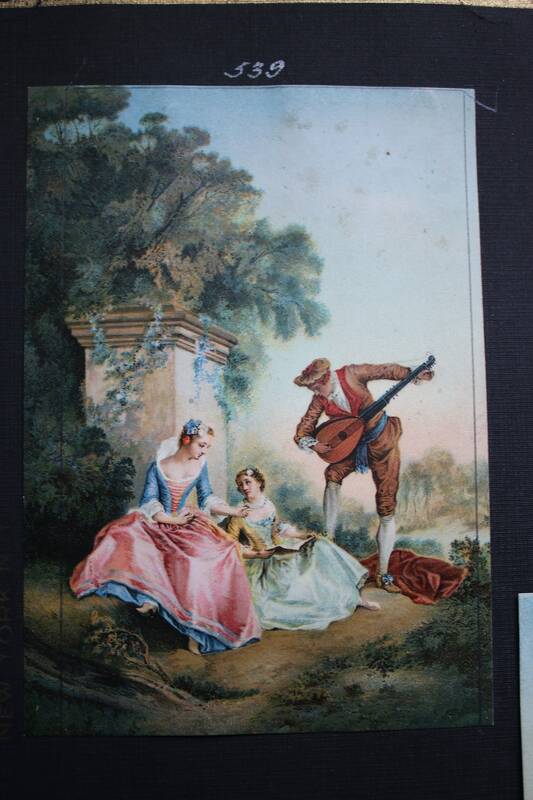 I purchased these lithographs as a lot, and some of the pages are stamped Williamsburg Art Co., New York, N.Y. Not much is known of this company, but they were in business in the early part of the 20th century. I believe these sheets contain proofs from a master book, which the company used to order prints. Condition: The black gold-edged paper to which the prints are affixed is fragile and has considerable wear in the forms of rips, tears and missing pieces. 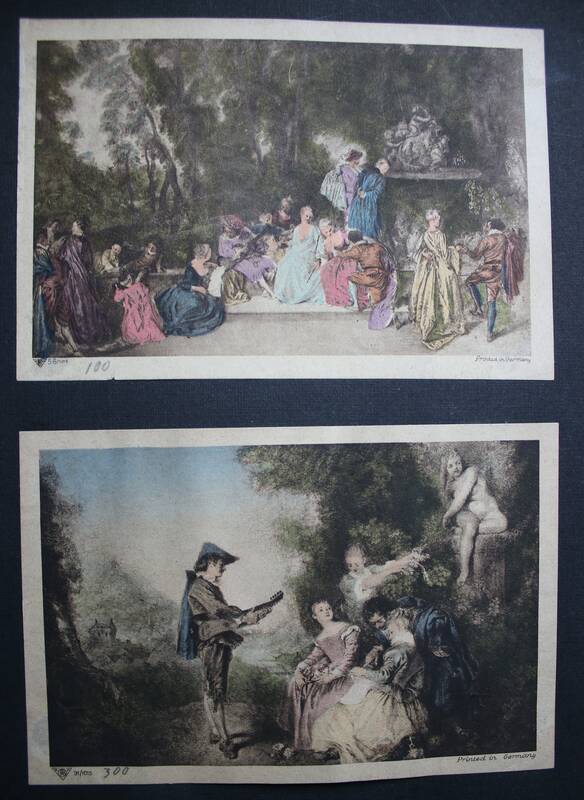 The first page has two lithographs (7 1/8" x 4 3/4") with a lighter area at the top left on the upper lithograph. 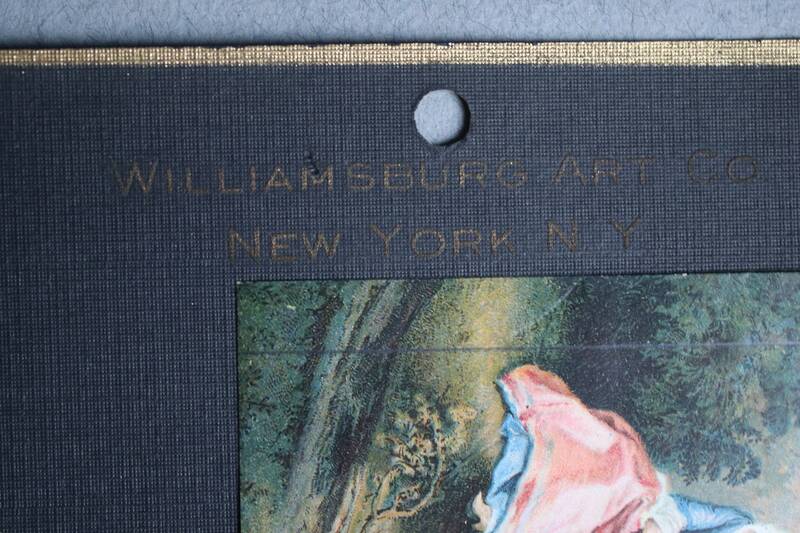 This looks as if it's from the substance used to affix the lithograph to the black paper. The lithographs do not lie flat. 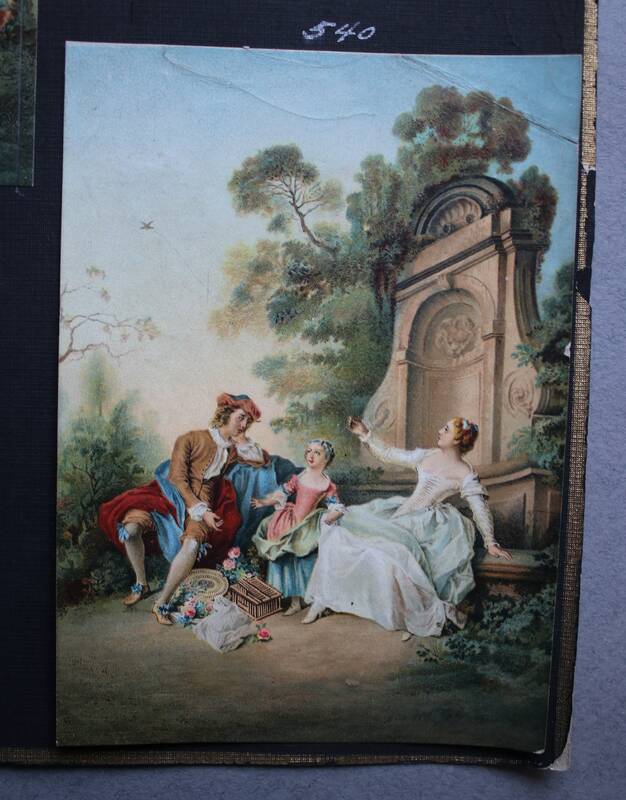 There is also a light and dark spot along the top edge in the second third of the print. Finally, there is a penciled 25 on the lower left hand side of the print. The bottom print also has a penciled 25. Both are marked "Printed in Germany" as the lower right hand corners attest to, and both have the manufacturer's mark in the lower left hand corners. 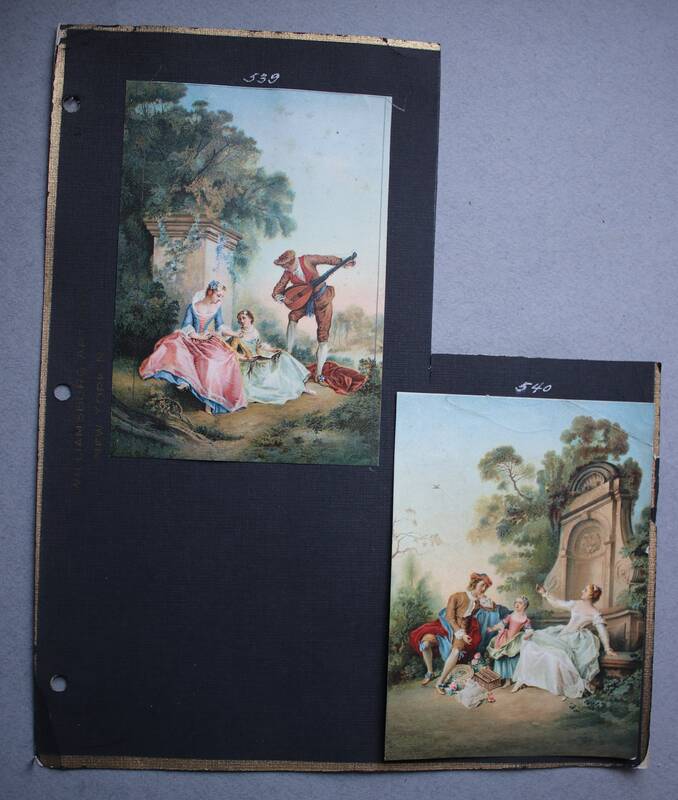 The second page has two lithographs that measure 5 1/2" x 4". The top lithograph has what looks to be pencil marking off both sides of the lithograph. The bottom lithograph has creasing at the top in the sky portion of the print, a chip to the edge of the print almost halfway down on the right side, and a small area of wear on the lower right edge of the print. 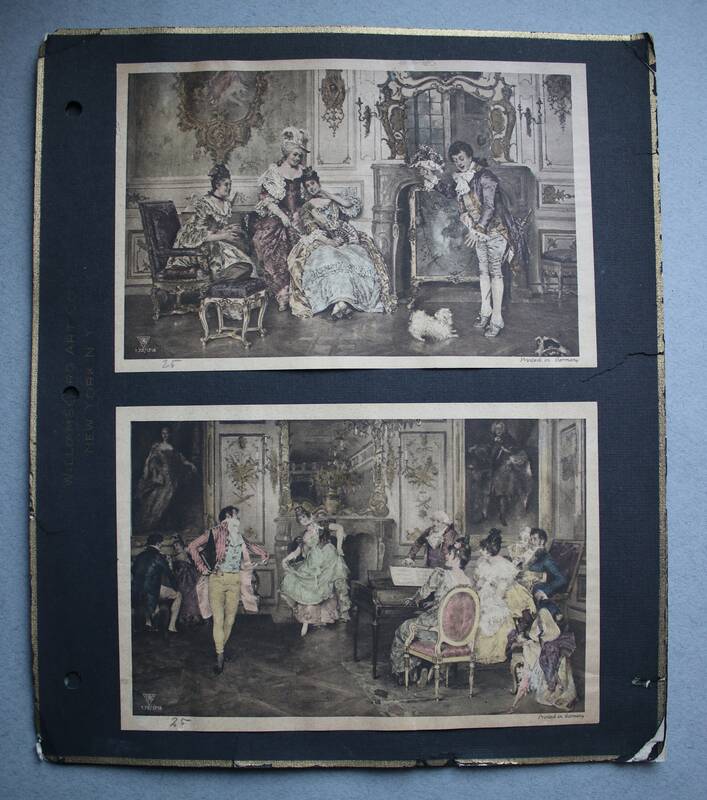 The third page contains lithographs that are both printed in Germany (lower right hand corner) and numbers 100 and 300 on the lower left on the upper and lower prints, respectively. 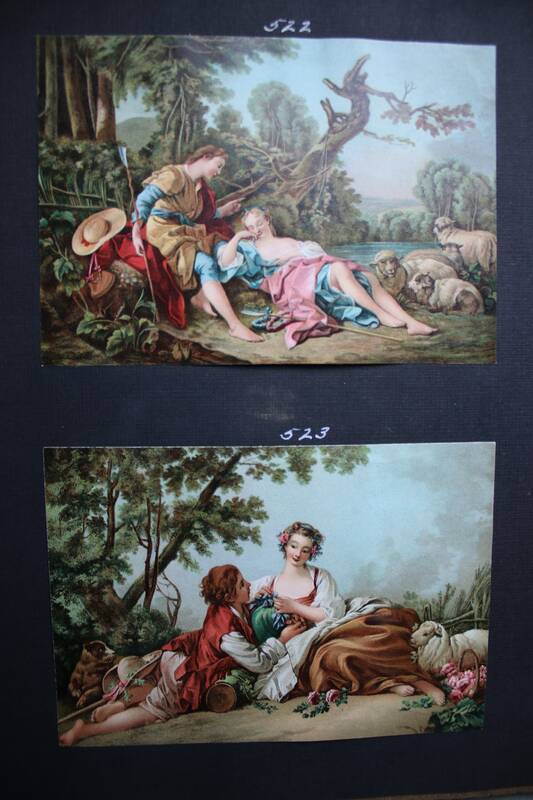 These two prints measure 6" x 4", and both have the manufacturer's mark in the lower left hand corners. 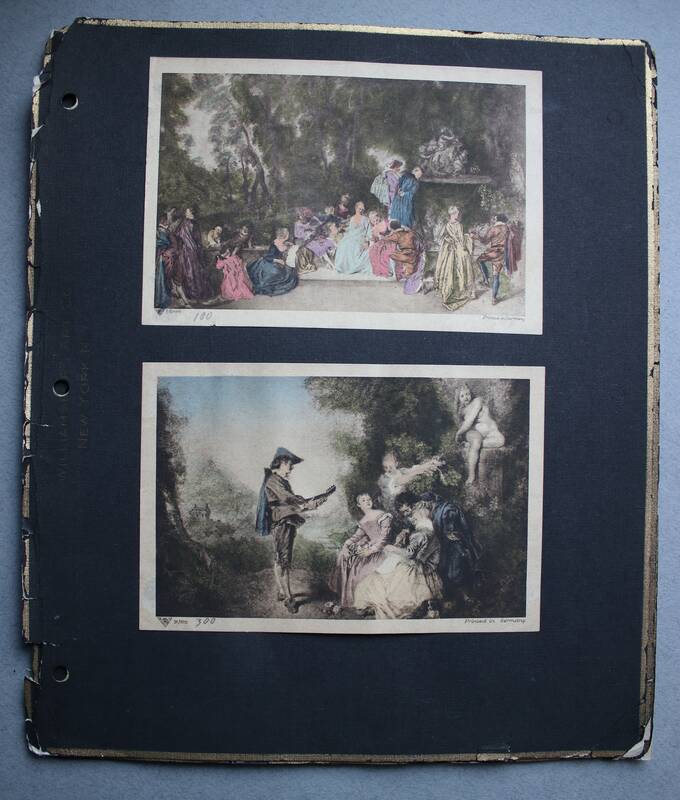 The fourth page features two brightly colored lithographs, each measuring 5.50" x 4". 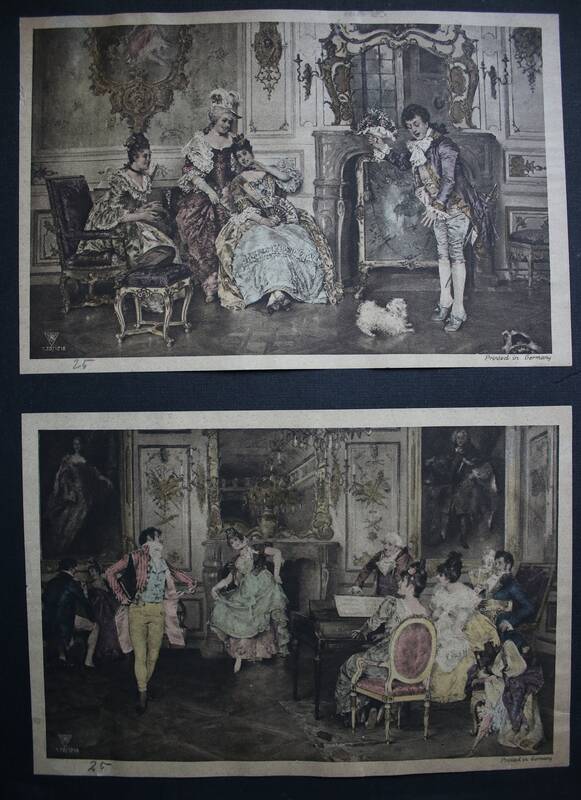 Please let me know if you have any questions or if you would like to see more photographs of these lithographs.